Free 30 Days /3,000 Limited Warranty !, CX-5 Touring, 4D Sport Utility, SKYACTIV -G 2.0L 4-Cylinder DOHC 16V, 6-Speed Automatic, FWD, Crystal White Pearl, black Cloth. Clean CARFAX. Touring FWD 6-Speed Automatic SKYACTIV -G 2.0L 4-Cylinder DOHC 16V26/32 City/Highway MPGAwards:* JD Power APEAL Study * 2013 IIHS Top Safety Pick * 2013 KBB.com 5-Year Cost to Own AwardsThanks for looking , If you need more information such as additional Photo's or a copy of your Free Car Fax History Report we are here to help . You can email us www.Kareemautosales.com or come visit us at our easy to get to location in Sacramento CA.es come with FREE warranty (call dealer for details)-We offer great extended warranty on our vehicles-Free CarFax Report History-Check us out on Yelp! 4.5 Stars-275+ Vehicles to choose from-Financing for all types of credit-CUDL (Credit Union Direct Lending)-Great 1st time buyer program-All vehicles pass Smog & Safety Inspection and receive a fresh oil change-Our buyers have over 10+ years of buying experience-Business HoursMonday - Saturday: 10:00am 7:00pmSunday: 10:00am - 5:00pm-And As Always Promised... BEST DEALS IN TOWN! Free 30 Days /3,000 Limited Warranty !, One Owner Carfax, Detailed Service Records On Carfax, **Rear View Camera**, RX 350, 4D Sport Utility, 3.5L V6 Dual VVT-i, 5-Speed Automatic with Overdrive, FWD, Obsidian, Black Leather, Navigation System. Clean CARFAX. 350 FWD 5-Speed Automatic with Overdrive 3.5L V6 Dual VVT-iThanks for looking , If you need more information such as additional Photo's or a copy of your Free Car Fax History Report we are here to help . You can email us www.Kareemautosales.com or come visit us at our easy to get to location in Sacramento CA. *1 Owner* *Navigation* *Moon Roof* *Back-up Camera* *Roof Rack* *Illuminated Entry* *Heated-Leather Seats* *Dual Power Seats*-All Vehicles come with FREE warranty (call dealer for details)-We offer great extended warranty on our vehicles-Free CarFax Report History-Check us out on Yelp! 4.5 Stars-275+ Vehicles to choose from-Financing for all types of credit-CUDL (Credit Union Direct Lending)-Great 1st time buyer program-All vehicles pass Smog & Safety Inspection and receive a fresh oil change-Our buyers have over 10+ years of buying experience-Business HoursMonday - Saturday: 10:00am 7:00pmSunday: 10:00am - 5:00pm-And As Always Promised... BEST DEALS IN TOWN! *AWD* *1 Owner* *Bluetooth Wireless* *Roof Rack* *Fog Lights* *Alloy Wheels* *All Weather Mats* *Power Windows*-All Vehicles come with FREE warranty (call dealer for details)-We offer great extended warranty on our vehicles-Free CarFax Report History-Check us out on Yelp! 4.5 Stars-275+ Vehicles to choose from-Financing for all types of credit-CUDL (Credit Union Direct Lending)-Great 1st time buyer program-All vehicles pass Smog & Safety Inspection and receive a fresh oil change-Our buyers have over 10+ years of buying experience-Business HoursMonday - Saturday: 10:00am 7:00pmSunday: 10:00am - 5:00pm-And As Always Promised... BEST DEALS IN TOWN! Free 30 Days /3,000 Limited Warranty !, ** AWD **, MDX 3.7L SH-AWD, 3.7L V6 SOHC VTEC 24V, 5-Speed Automatic, AWD, Ebony Leather. 3.7L SH-AWD 5-Speed Automatic 3.7L V6 SOHC VTEC 24V*Moon Roof* *Heated-Leather Seats* *Running Boards* *Cruise Control* *6-Disc/MP3* *Fog Lights* *Roof Rack* *18 Alloy Wheels*-All Vehicles come with FREE warranty (call dealer for details)-We offer great extended warranty on our vehicles-Free CarFax Report History-Check us out on Yelp! 4.5 Stars-275+ Vehicles to choose from-Financing for all types of credit-CUDL (Credit Union Direct Lending)-Great 1st time buyer program-All vehicles pass Smog & Safety Inspection and receive a fresh oil change-Our buyers have over 10+ years of buying experience-Business HoursMonday - Saturday: 10:00am 7:00pmSunday: 10:00am - 5:00pm-And As Always Promised... BEST DEALS IN TOWN!Thanks for looking , If you need more information such as additional Photo's or a copy of your Free Car Fax History Report we are here to help . You can email us www.Kareemautosales.com or come visit us at our easy to get to location in Sacramento CA. *4 New Tires* *Moon Roof* *Heated-Leather Seats* *Roof Rack* *Bluetooth Wireless* *Cruise Control* *Power Windows* *Multi-Disc/MP3* *Fog Lights* *Dual Power Seats*Free 30 Days /3,000 Limited Warranty !, 5-Speed Automatic with Overdrive 3.5L V6 Dual VVT-iThanks for looking , If you need more information such as additional Photo's or a copy of your Free Car Fax History Report we are here to help . You can email us www.Kareemautosales.com or come visit us at our easy to get to location in Sacramento CA.-All Vehicles come with FREE warranty (call dealer for details)-We offer great extended warranty on our vehicles-Free CarFax Report History-Check us out on Yelp! 4.5 Stars-275+ Vehicles to choose from-Financing for all types of credit-CUDL (Credit Union Direct Lending)-Great 1st time buyer program-All vehicles pass Smog & Safety Inspection and receive a fresh oil change-Our buyers have over 10+ years of buying experience-Business HoursMonday - Saturday: 10:00am 7:00pmSunday: 10:00am - 5:00pm-And As Always Promised... BEST DEALS IN TOWN! Free 30 Days /3,000 Limited Warranty !, One Owner Carfax, 29 Detailed Service Records On Carfax, **MOONROOF / SUNROOF**, **THIRD ROW SEATING**, **DVD**, **Rear View Camera**, **4WD**, Leather Heated Seat, Armada SE, 5.6L V8 SMPI DOHC 32V, 5-Speed Automatic with Overdrive, 4WD, Blizzard Pearl. SE 4WD 5-Speed Automatic with Overdrive 5.6L V8 SMPI DOHC 32VThanks for looking , If you need more information such as additional Photo's or a copy of your Free Car Fax History Report we are here to help . You can email us www.Kareemautosales.com or come visit us at our easy to get to location in Sacramento CA.-All Vehicles come with FREE warranty (call dealer for details)-We offer great extended warranty on our vehicles-Free CarFax Report History-Check us out on Yelp! 4.5 Stars-275+ Vehicles to choose from-Financing for all types of credit-CUDL (Credit Union Direct Lending)-Great 1st time buyer program-All vehicles pass Smog & Safety Inspection and receive a fresh oil change-Our buyers have over 10+ years of buying experience-Business HoursMonday - Saturday: 10:00am 7:00pmSunday: 10:00am - 5:00pm-And As Always Promised... BEST DEALS IN TOWN! *4 New Tires* *Back-up Camera* *Panorama Roof* *Bluetooth Wireless* *Cruise Control* *Alloy Wheels* *Fog Lights* *Sirius Satellite*Free 30 Days /3,000 Limited Warranty !, 6-Speed Automatic EcoBoost 2.0L I4 GTDi DOHC Turbocharged VCT22/30 City/Highway MPGAwards:* JD Power Initial Quality Study (IQS) * 2015 KBB.com 10 Best SUVs Under $25,000 * 2015 KBB.com Brand Image AwardsThanks for looking , If you need more information such as additional Photo's or a copy of your Free Car Fax History Report we are here to help . You can email us www.Kareemautosales.com or come visit us at our easy to get to location in Sacramento CA.-All Vehicles come with FREE warranty (call dealer for details)-We offer great extended warranty on our vehicles-Free CarFax Report History-Check us out on Yelp! 4.5 Stars-275+ Vehicles to choose from-Financing for all types of credit-CUDL (Credit Union Direct Lending)-Great 1st time buyer program-All vehicles pass Smog & Safety Inspection and receive a fresh oil change-Our buyers have over 10+ years of buying experience-Business HoursMonday - Saturday: 10:00am 7:00pmSunday: 10:00am - 5:00pm-And As Always Promised... BEST DEALS IN TOWN! Free 30 Days /3,000 Limited Warranty !, **MOONROOF / SUNROOF**, **DVD**, Gray Leather. 470 4WD 4-Speed Automatic 4.7L V8 SMPIThanks for looking , If you need more information such as additional Photo's or a copy of your Free Car Fax History Report we are here to help . 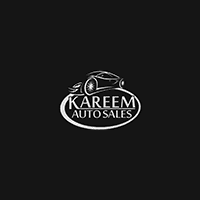 You can email us www.Kareemautosales.com or come visit us at our easy to get to location in Sacramento CA.-All Vehicles come with FREE warranty (call dealer for details)-We offer great extended warranty on our vehicles-Free CarFax Report History-Check us out on Yelp! 4.5 Stars-275+ Vehicles to choose from-Financing for all types of credit-CUDL (Credit Union Direct Lending)-Great 1st time buyer program-All vehicles pass Smog & Safety Inspection and receive a fresh oil change-Our buyers have over 10+ years of buying experience-Business HoursMonday - Saturday: 10:00am 7:00pmSunday: 10:00am - 5:00pm-And As Always Promised... BEST DEALS IN TOWN! Free 30 Days /3,000 Limited Warranty !, **THIRD ROW SEATING**, **4WD**, Lifted Premium Wheels Leather, Vortec 5.3L V8 SFI Flex Fuel, 4-Speed Automatic with Overdrive, 4WD, Summit White, Ebony Cloth. LT Z71 4WD 4-Speed Automatic with Overdrive Vortec 5.3L V8 SFI Flex FuelThanks for looking , If you need more information such as additional Photo's or a copy of your Free Car Fax History Report we are here to help . You can email us www.Kareemautosales.com or come visit us at our easy to get to location in Sacramento CA.? OPEN SEARCH RESULT PREVIEW ?-All Vehicles come with FREE warranty (call dealer for details)-We offer great extended warranty on our vehicles-Free CarFax Report History-Check us out on Yelp! 4.5 Stars-275+ Vehicles to choose from-Financing for all types of credit-CUDL (Credit Union Direct Lending)-Great 1st time buyer program-All vehicles pass Smog & Safety Inspection and receive a fresh oil change-Our buyers have over 10+ years of buying experience-Business HoursMonday - Saturday: 10:00am 7:00pmSunday: 10:00am - 5:00pm-And As Always Promised... BEST DEALS IN TOWN! *Back-up Camera* *Heated/Cooled-Leather Seats* *Moon Roof* *Bluetooth Wireless* *Push-Button Start* *Fog Lights* *Dual Power Seats* *Alloy Wheels* *Roof Rack*Free 30 Days /3,000 Limited Warranty !, 6-Speed Automatic with Sequential Shift ECT-i 3.5L V6 DOHC Dual VVT-i 24VAwards:* JD Power Dependability Study * 2011 IIHS Top Safety PickThanks for looking , If you need more information such as additional Photo's or a copy of your Free Car Fax History Report we are here to help . You can email us www.Kareemautosales.com or come visit us at our easy to get to location in Sacramento CA.-All Vehicles come with FREE warranty (call dealer for details)-We offer great extended warranty on our vehicles-Free CarFax Report History-Check us out on Yelp! 4.5 Stars-275+ Vehicles to choose from-Financing for all types of credit-CUDL (Credit Union Direct Lending)-Great 1st time buyer program-All vehicles pass Smog & Safety Inspection and receive a fresh oil change-Our buyers have over 10+ years of buying experience-Business HoursMonday - Saturday: 10:00am 7:00pmSunday: 10:00am - 5:00pm-And As Always Promised... BEST DEALS IN TOWN!